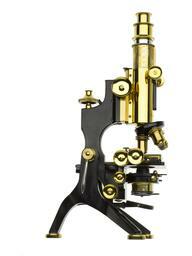 This type of microscope was invented and used by Anton van Leeuwenhoek (1632-1723). 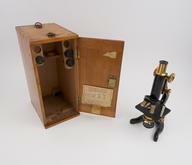 Considered the “father of microscopy”, he constructed all his own equipment using lenses he had made himself. 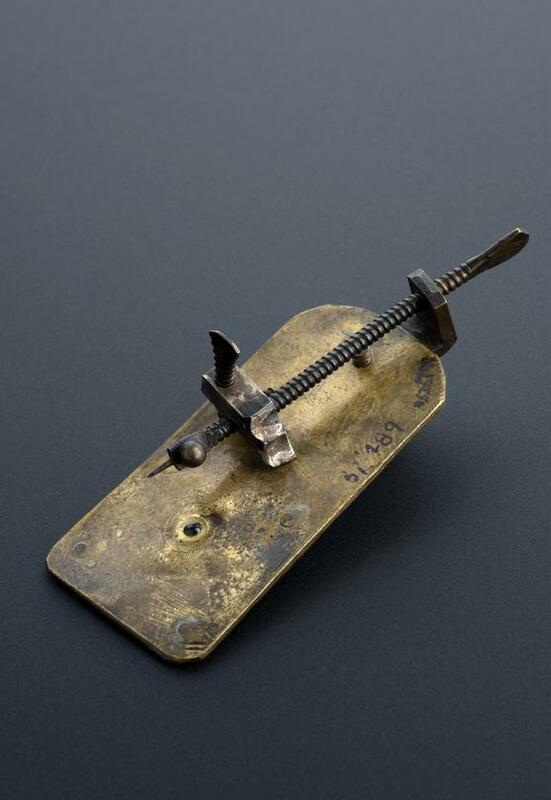 At his death, Leeuwenhoek left 247 microscopes and 172 lenses. Only nine microscopes have survived. 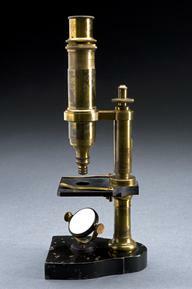 These can magnify up to 200 times and were of a better quality than professionally made microscopes of the time. 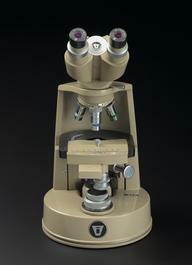 The specimen to be studied is placed on the pin and is brought into focus on the small lens by adjusting the two screws. 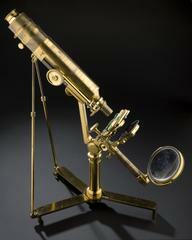 The glass lens is fixed between two brass plates. The microscope would have been difficult and uncomfortable to use as the eye would have to be placed very close to the lens to make any observations. Lighting the specimen would also have been difficult.